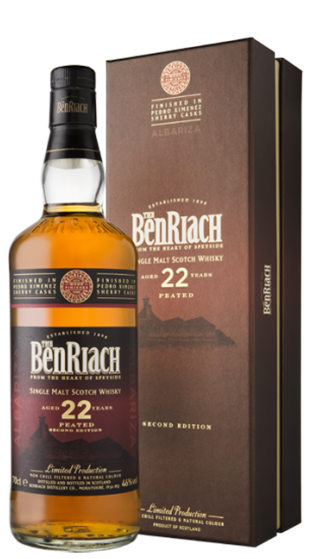 Tasting Note: The BenRiach 22 Years old Albariza is part of our PEATED range. Originally matured in AMERICAN OAK casks, the whisky is then finished in PEDRO XIMINEZ SHERRY casks. The name ‘Albariza’ is derived from the typical white soil used for growing grapes in the production of sherry in the Andalucia region of Southern Spain. Bottled at natural colour and non chill filtered.